The mass market is accessed by the business establishments irrespective of their size and strength. The quality of the product and services given by the marketer can be easily communicated to the targeted audience. The cost effectiveness and wide reach are the main attractions of the digital marketing from the conventional methods. By a small investment the product reaches the global market. The consumers from different countries become the clients of the company. This enables the growth of the company not as big buildings but as independent enterprises. The effect of personalization by the introduction of the digital marketing made the relationship between customer and producer more efficient. The needs and wants of a customer who visits the website are clear from the activities he or she does in the website. This enables the marketer to trace that need by personalised messages and promotional texts. The more a person visits the site the more company can retain the customer. The easiness to engage with the customers is the main input for growth since satisfaction of customers can only lead the firm to business. Openness achieved by the social media encourages the marketers to get mingled. Since the efforts are measurable in digital marketing, the marketers get a chance to improve. Whether the marketing strategies are actually working or nor can be measured so that in case of failure the preparations help for a quick change in strategies. 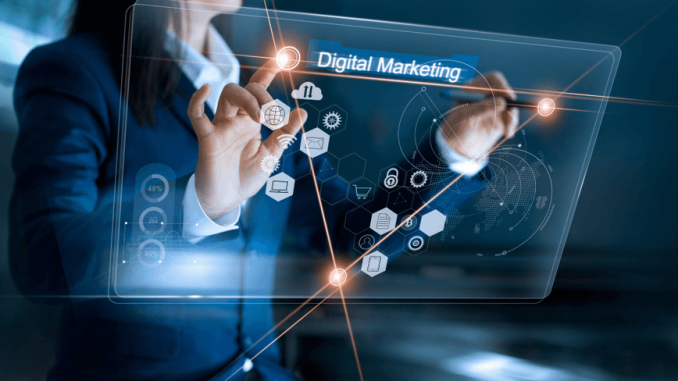 The allocation of marketing budget and the optimal utilization of the resources are also the side effects of digital marketing. The unnecessary expenses on tactics which do not work can be shifted to the useful ones to bring desired results. The assurance that prospective consumers are watching or receiving the things sent to them make the marketer motivated and many tools like SEO help to reach the right customer at right time.